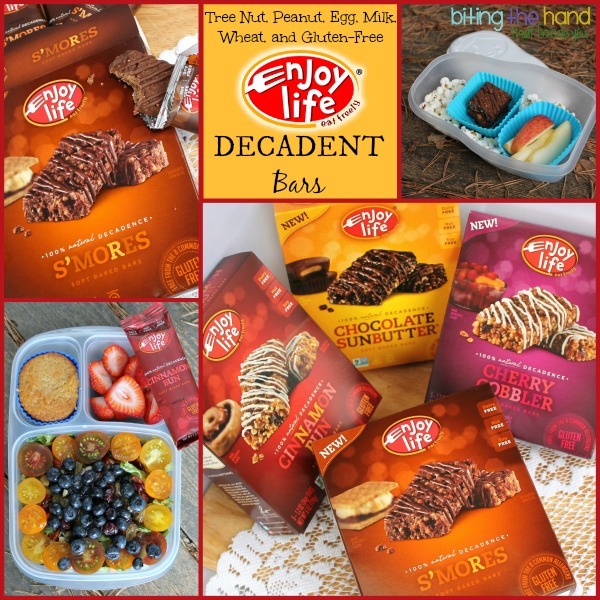 Enjoy Life Foods has great cookies and cereals and snacks... and now their new Decadent Bars! More than just chewy bars, each one is luxuriously drizzled with either white or dark chocolate - perfect for a snack, part of a lunch, or as a dessert treat! And they sent me a box of each to try for free! Everything they make is in a facility free from the Top 8 Allergens and gluten. And they're Non-GMO Verified! The day these arrived, the girls and I split one bar of each flavor to do a "taste-test." The toddler seemed to love them all equally, and my older one couldn't decide. She finally gave up trying to keep track and just enjoyed the rest of her share of each one. S'Mores - I totally thought this would be my favorite. It's good, and I will definitely buy it again, but it wasn't my favorite. Cinnamon Bun - I thought for sure I'd have a hard time deciding between this and the S'Mores, but this was more like a chewy oatmeal cookie than a dripping-with-frosting cinnamon bun. Probably my expectations were the problem. I've never had a cinnamon roll without gobs of frosting. I mean, what's the point? So I was expecting a big frosting rush. Loved the chewiness though. Chocolate Sunbutter - Pretty good. Mostly tasted the chocolate, which was fine with me. I love Sunbutter, but I also looove chocolate! Cherry Cobbler - I'm not normally a fan of fruit in pastries or dried fruit, but I loved the chewy texture. And ironically, I think this one is my favorite. Not by a huge margin or anything, though. They're allllll really good! Why Waste Them On the Kids? 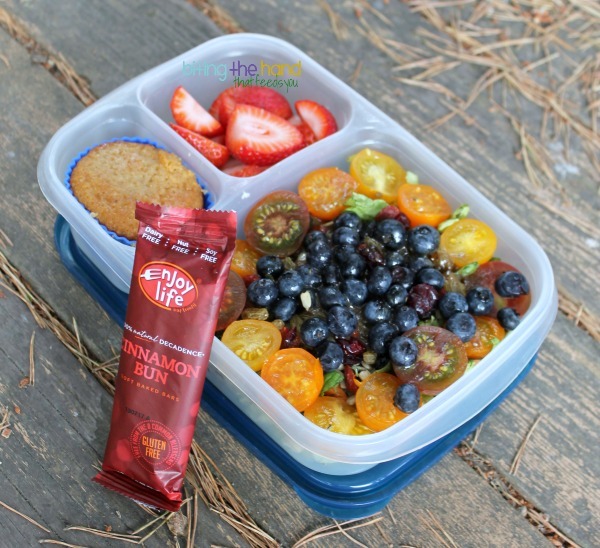 I've been grabbing these for on-the-go snacks and as an easy dessert to add to my lunches. Making healthy choices is hard work. And deserves a yummy reward! 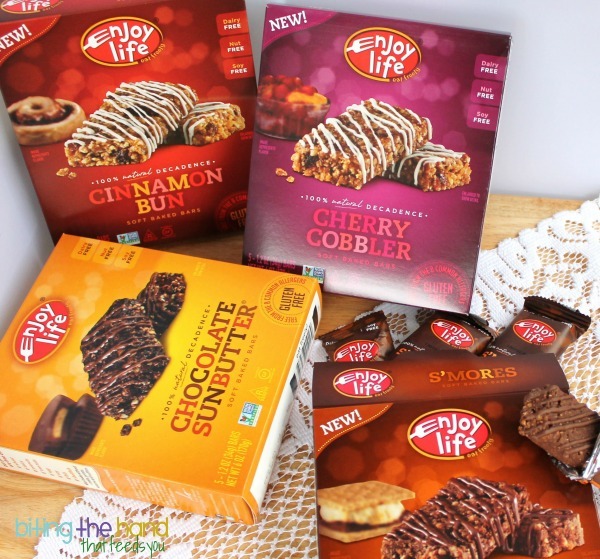 Find Enjoy Life Foods on Facebook and Twitter, and follow for giveaways, deals, and other fun stuff!